If you or a loved suffered from DePuy knee problems including instability, pain, bone damage, and the need for revision surgery due to a defective DePuy knee, you may be entitled to damages. 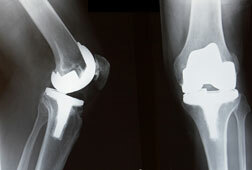 We provide free no-obligation DePuy knee lawsuit case review. We do not charge attorney fees unless you receive compensation and you are under no obligation after your initial consultation.